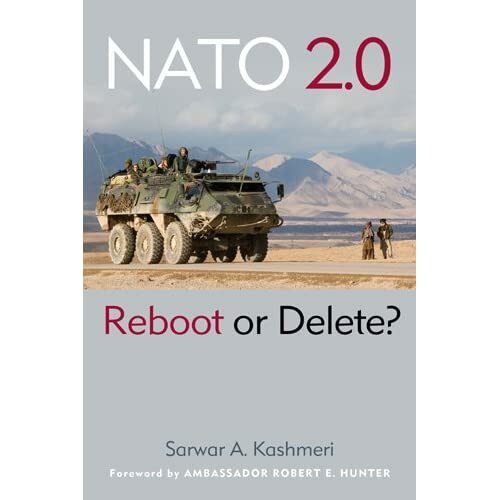 August | 2010 | "NATO 2.0: Reboot or Delete?" Two points stand out in this report. First, Denmark has been a faithful NATO ally, it has suffered more troops killed per capita than any other NATO member. So this refusal to help cannot have been an easy task. My question is, the NATO Secretary General is a former Danish Prime Minister. Could he not gauge the political temperature in Denmark? Is he so oblivious to Danish political and economic reality? Political decisions don’t just come out from nowhere. They germinate and then after much give and take, sprout. So, Mr. Rasmussen, what happened here? Why ask for something you know cannot be delivered. Second, Denmark’s refusal is yet another reminder of the consequenses from the financial crisis. The ground has shifted in the EU and the U.S. With the recent German military cuts, U.S. scaling back its military budget, france and the UK trying to join their offensive and defensive military operations and maintenance. There is a strategic change underfoot in Euro-Atlantic defense and security operations, and the sooner NATO realizes it the more the chances that it will continue to be effective in the twenty-first century. As a first step NATO should begin top level discussion with CSDP [the EU’s security and defense establishment] to bridge operations and eliminate duplication. NATO plans to stay in Afghanistan even after Afghans can handle their own security! There’s an article in the August 22, 2010 edition of NewEurope that reminds me of the delusional world that some in NATO inhabit. …the new government can manage the country on its own, relying on its own armed forces and on a solid financial support of the international community…all responsibility for security and implementation of the national priorities and programs in the country would pass to the Afghan side as early as in 2014. A statement that the national forces of this country can assume the responsibility for their country’s security by 2014 does not mean that NATO troops will leave Afghanistan. They will continue to provide support. We will not leave the people of this country even after the transfer of responsibility to the national security forces; we will stay to help them. Now that’s a pretty bold statement to make. Afghanistan’s elected leader says thanks for your help, we’ll take it from here after 2014, and the military alliance that has come to Afghanistan to help him says that they really don’t care what the President of Afghanistan says. Foreign troops will stay in your country until they decide to leave. Did someone say “occupation?” “Colonialism?” Isn’t Afghanistan a soverign state? It will be interesting to see how Mr. Rasmussen hangs on to NATO troops when the Dutch, Brits, Poles, Canadians, and many of the U.S. military have left. Seriously, one would have thought the Secretary General would commend Mr. Karzai and say, “Bravo, more power to you.” But I guess that’s too logical. Three Canadian soldiers were awarded commendations on Friday, Aug. 13, 2010 for their role in stopping an Aug. 3 attack on the main NATO military base in Kandahar. Sgt. Marc-Andre Rousseau, left to right, and Cpl. Joseph Henry, both members of the Combat Engineers in Kandahar from Valcartier, Que., as well as Sapper Kirk Farrell, of Petawawa, Ont., were outside the secure perimeter of the base when a group of insurgents attacked. The Netherlands, Canada, Poland, Britain, and now Denmark. Superb allies all, are now cutting their NATO commitment and setting a date to go home from Afghanistan. In other words, no matter what happens on the battlefield, these countries have set a time-table to quit the war. How can this be? Isn’t NATO the “greatest alliance in the history of the world.” How can an alliance partner just say that it is tired of fighting, and leave?! If NATO cannot count on its members’ commitment to keep fighting with the alliance until the commander in the field decides to end the war, then what good is it? This is a question that the drafters of the New Strategic Concept should pay close attention to. A mutual defense pact in which each ally can decide to bail out and leave its partners in the lurch is no alliance at all. In light of this reality, does the opening sentance from the Report of The Group of Experts to NATO make any sense? …NATO has managed to find savings in its military budget of 1.5 billion euros over the next four years and planned to boost efficiency by cutting the number of its headquarters committees to less than 100 from around 400, according to NATO Sec. Gen Rasmussen. Wow, only a hundred committees! But, hey, its a start.